Lisa K. Winkler is the author of On the Trail of the Ancestors: A Black Cowboy’s Ride Across America and editor of Tangerine Tango: Women Writers Share Slices of Life. She worked as a reporter at the Danbury News-Times, Connecticut, before becoming a teacher, and writes for professional journals, Education Update, JerseyMan, and study guides for Penguin Books. Two essays have been published in book anthologies, one for Wisdom of Our Mothers, (Familia Books) and the other in College Search and Parent Rescue: Essays for Parents by Parents of College-Going Students (St. Martin’s Press). She taught middle school Language Arts teacher for more than 15 years and served as a literacy consultant in Newark, New Jersey. She has three children and six grandchildren, and loves cycling, knitting, yoga, cooking, travel, theater and museums. 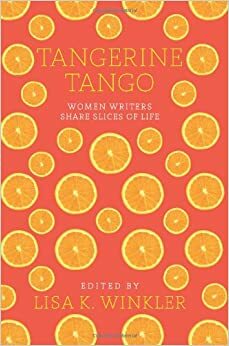 She is the founder of Chestnut Hill Press, which published Tangerine Tango: Women Writers Share Slices of Life. Her website is http://www.lisakwinkler.com. I’m so glad you enjoyed Sunshine! Wasn’t it powerful? It really wasn’t that well-known, but it really struck a cord with me. Thank you! I have to figure out blog rolls and will add yours. Thanks for responding! And we’re both from Connecticut, too! My parents are still in Killingworth- are you still in CT? Hi – I’ve just given you a Sunshine Award for being one of my favorite blogs. You can check it out at gabicoatsworth.wordpress.com. Hope you enjoy it! Thanks, Gabi! It’s my first blog award. Happy to pay it forward. Thanks for your visit back in my blog, I highly appreciate this and am so happy to have met you here via WordPress. Your blog is warm and very comfy to hang out with so i’ll be keeping in touch. Thanks for the follow too 🙂 Talk to you soon. Thank you for visiting my blog and thanks for commenting. I really enjoy your blog and nowl looking forward to more of your posts. Thanks, I hope you sign up! Thanks for the follow. I have had fun visiting your blog–I really appreciated what you said about bullying–so intelligent and logical. I look forward to following your blog. Ok.. ignore previous email- I looked at the VBA site, and know what to do.. thanks so much! No problem, hahaha, Have fun! Is there a badge for this one? Thanks! Hi Lisa. I am very impressed with your achievements and the diversity of your endeavors. I am an African American artist and a avid cyclist as well. I have several post related to biking from an artistic perspective. Please stop by and check out my blog when you have time. I am subscribing to your blog to check out what you are up to. You’re right, Lisa. We have a lot in common! I started out in publishing as an editor in Westport, CT, before I went into teaching. Lisa, lots of great stuff here! I would love to reblog or link to your articles sometimes! Thanks for coming over to see my blog, too! I have nominated you for the Leibster Award! I nominated you for the “Blogger of the Year” award. Go check out Writing Is Hard Work to find out how to participate! Hi Lisa, I’m thoroughly enjoying your blog and its various topics. I also just checked out your website which is impressive as well. I look forward to continued inspiration and sharing. Thanks! And likewise- enjoying your blog too! Hi Thanks for stopping by a few days, I like your blog and you have a lot of accomplishments under your belt!!! I will try pop in more often! Thanks for stopping in and your comments! I hope to get to your part of the world one day. Hi Lisa, I just sent a copy of my review of Cowboy… to a lady named Linda Morse who is looking for someone to write history book reviews for a journal in New England. You might consider joining the History Teachers group on Linkedin. That’s how I found her. Hello cyclingrandma! Thanks so much for following Still Life With Tortillas. Your blog looks upbeat and full of voice. I can’t wait to read more! thanks! Yours looks great too! Referred by Dawn at Tales from the Motherland. Susanissima (post before mine) is a dear friend — your blog looks good and am following. You came to me through my other blog, zenkatwrites (wordpress)! What a wonderful blog! It is full of energetic, joyful, and fun topics. Thanks for sharing your obvious love of life with us! Hello Lisa! I’ve decided to read and follow 15 interesting and new blogs a day every day for the first month of 2015, and yours is today’s #1! Feel free to come visit me when you can at http://www.thatssojacob.wordpress.com, and follow if you like what you read. Happy new year and happy blogging! There is no access to your blog through your gravatar but I had to hazard a guess on your site address to let you know you look fabulous. You are so vibrant in the gravatar. I thought “cycle…GRANDMA? ?” I grew up in NYC and went to Univ of PA. Nice to meet a wordsmith from the East coast.